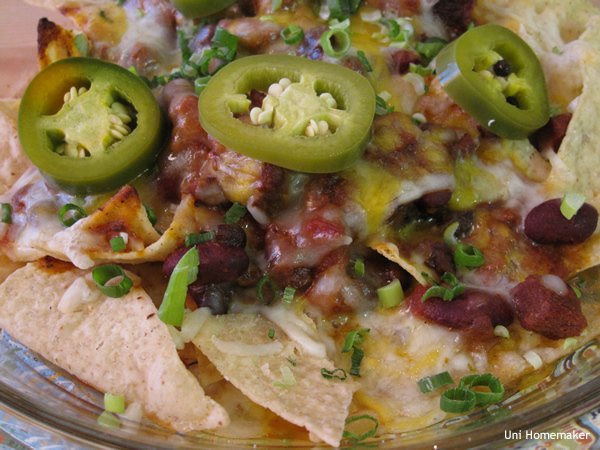 A couple of nights ago, I had turned the left over chili into a nacho plate and it was surprisingly good! Based on that statement, it’s obvious I don’t make nachos at home all that often. 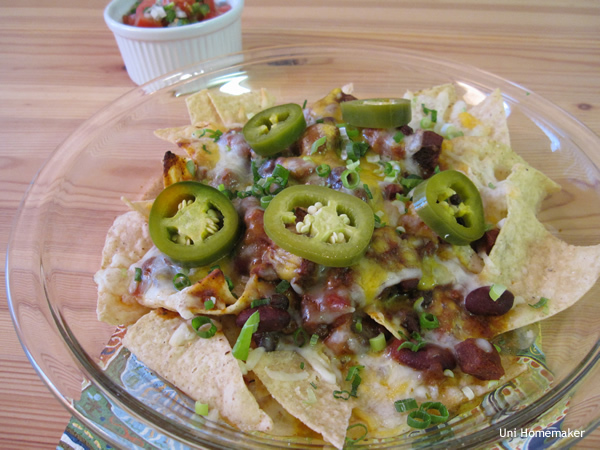 I think this is a great way to use up any kind of homemade chili. You can also use your favorite canned chili but I prefer mine freshly made. I did a combo of pepper jack and shredded cheddar. I think it gives it a nice color contrast. I also used my pickled jalapeno peppers for this —it was fantastic! Layer 2 ounces of tortilla chips onto an oven safe plate or bowl (I used a pie plate). Add 1/2 cup of chili and then add 1/4 cup of the pepper jack cheese and 1/4 cup of the cheddar cheese. 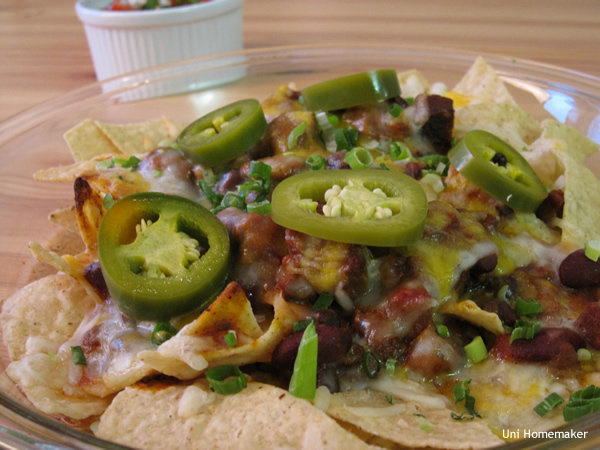 Then add another 2 ounces of tortilla chips, 1/2 cup of chili and then 1/4 cup of pepper jack and 1/4 cup cheddar cheese. Bake for 5-8 minutes or until cheese is melted. Garnish with pickled jalapenos and serve. This is brilliant Anne. I have to go look at your three meat chili recipe because that sounds scrumptious too. I’ll have to make a batch of chili for it. We’ll have to see about the jalapenos. 😉 It stunk up the jar. What a tasty & amazing recipe! A must make! Yumm!